Chris Billing is an award-winning documentary filmmaker and journalist. He wrote, produced, directed, and edited Lost Sparrow (2009), an investigation into the tragic 1978 deaths of his two adopted Crow Indian brothers. The film premiered in November 2010 on the nationally televised, award-winning PBS series Independent Lens. 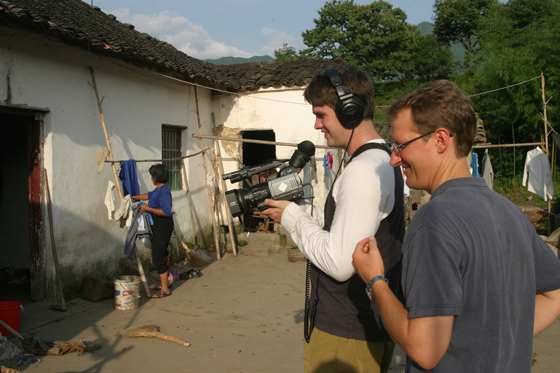 A fluent Mandarin Chinese speaker, Chris previously wrote, produced, and directed the full-length documentary Up to the Mountain, Down to the Village (2005), about Chinese leader Mao Zedong’s catastrophic youth re-education campaign during China’s tumultuous Cultural Revolution (1966-76). Chris worked for more than a decade as a China-based journalist, including a five-year stint as NBC News Beijing Bureau Chief (1996-2001). During his NBC tenure, he reported on numerous historic events, including the death of paramount leader Deng Xiaoping, Hong Kong’s reversion from British to Chinese rule, and the 50th anniversary of the founding of the People’s Republic of China. Chris first went to China in 1986, when he taught Modern Hebrew at Beijing University.